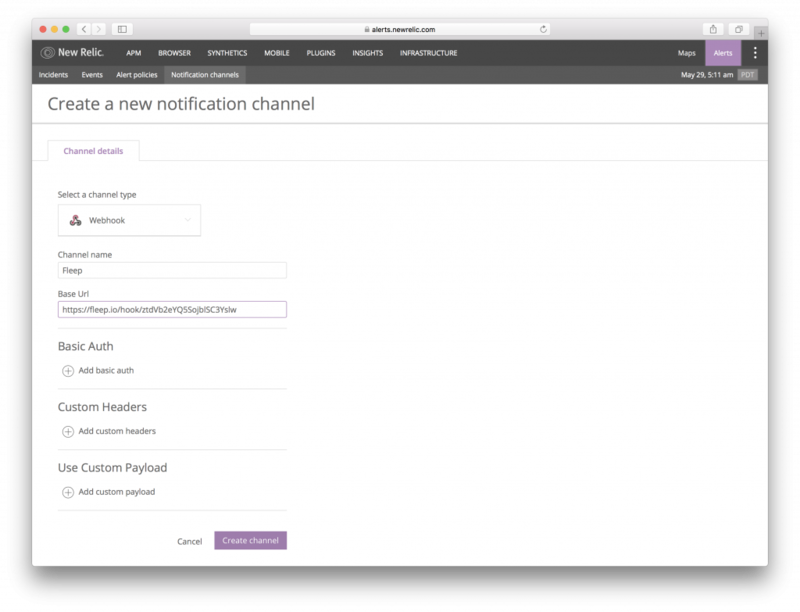 Fleep has a customized webhook for New Relic that allows you to post New Relic alerts into Fleep conversations. 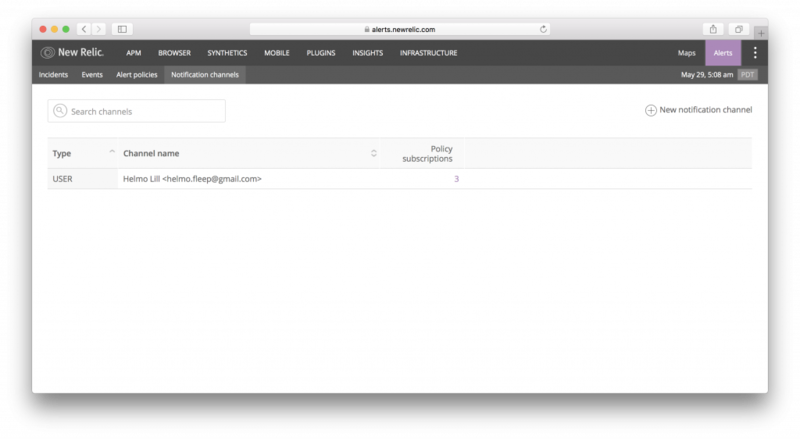 Follow these steps to setup your New Relic integration. Create the conversation where you want to receive all your New Relic updates. In that conversation open Conversation Settings > Integrations and click on the Add button and then Create on the next popup window to generate a new hook for your New Relic integration. Log into New Relic, select Alerts – Notification channels and click on New notification channel. Select Webhook as the channel type. Give the channel a name, paste the hook URL and click Create channel.